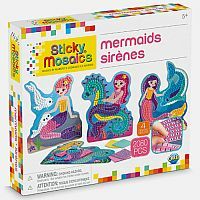 Make your own mosaic mermaids with the Sticky Mosaics Mermaids kit. 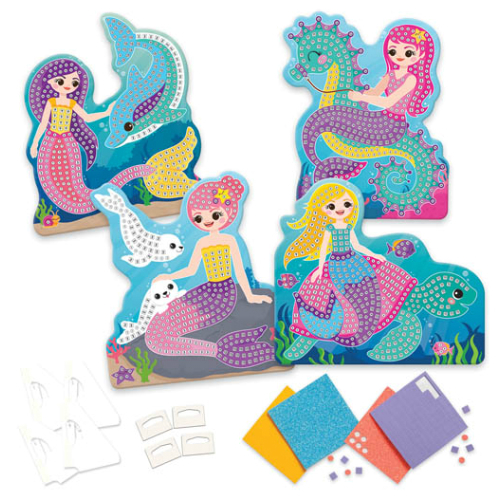 Create 4 sparkly mermaids to decorate your room. 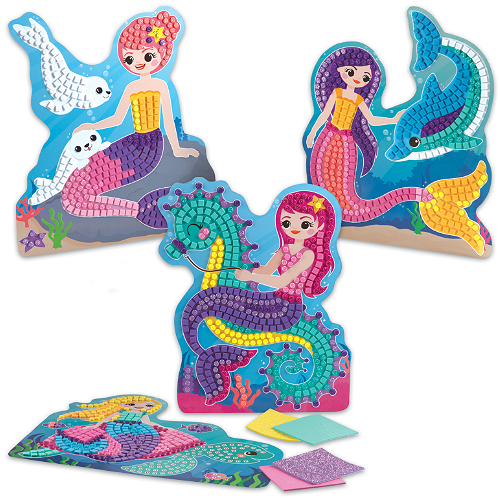 Each mermaid design features a mermaid with her favorite sea pet. 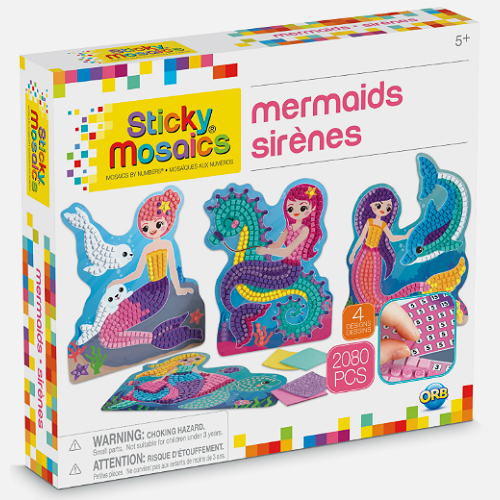 Complete this sticker by numbers kit using the 2072+ sticky tiles to complete these 4 beautiful mermaids by using a numbered legend. Just peel and stick. Includes 4 mermaid designs, 3 hanging tags & stand for display.